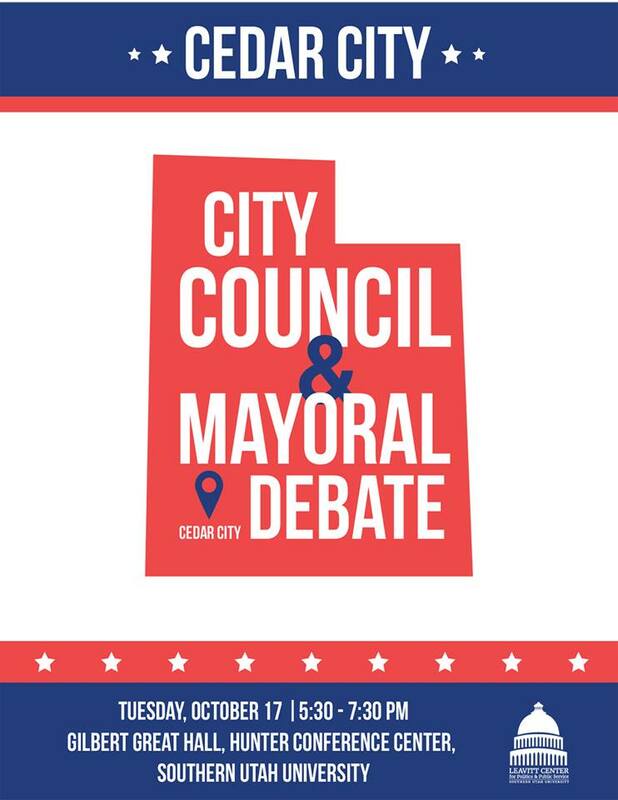 There will be a Cedar City council and mayoral debate on Tuesday, October 17, 2017 from 5:30 pm to 7:30 pm at the Gilbert Great Hall in the SUU Hunter Conference Center. Hosted by the SUU Michael O. Leavitt Center for Politics and Public Service. The City Council candidate debate will begin at 5:30 p.m. with the Mayoral candidate debate directly following starting at 6:30 p.m.